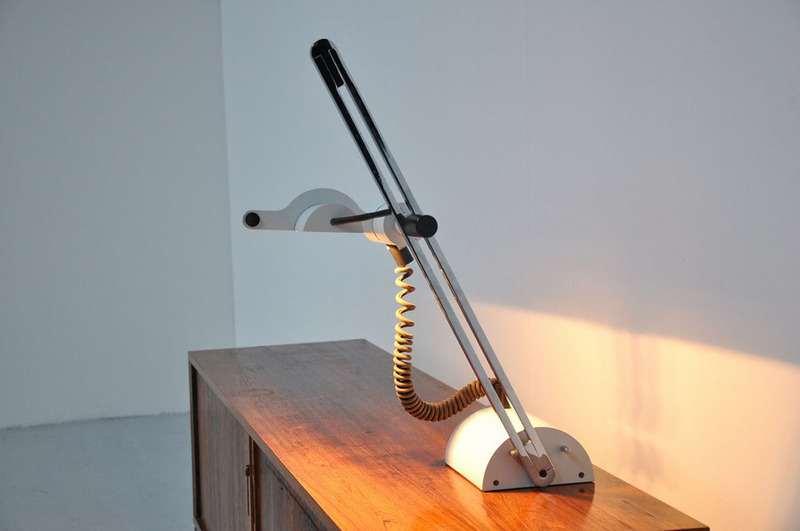 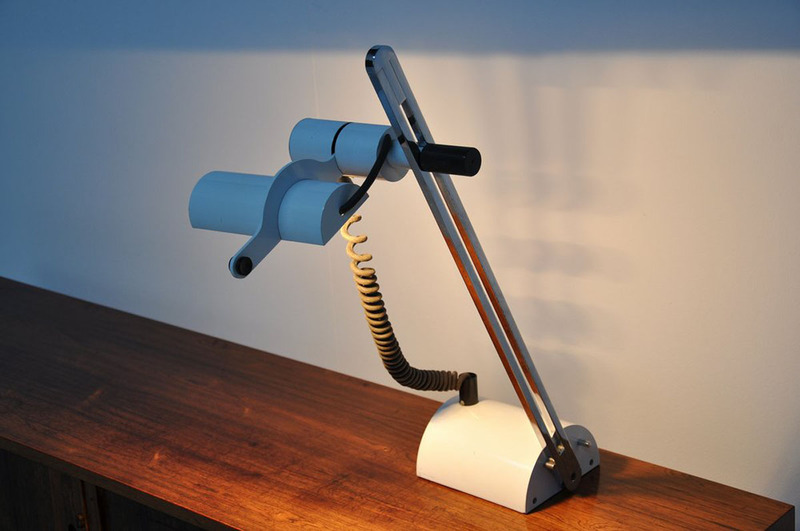 Very rare desk lamp designed by Ignazia Favata & Claudio Dini for Bieffeplast, Italy 1979. 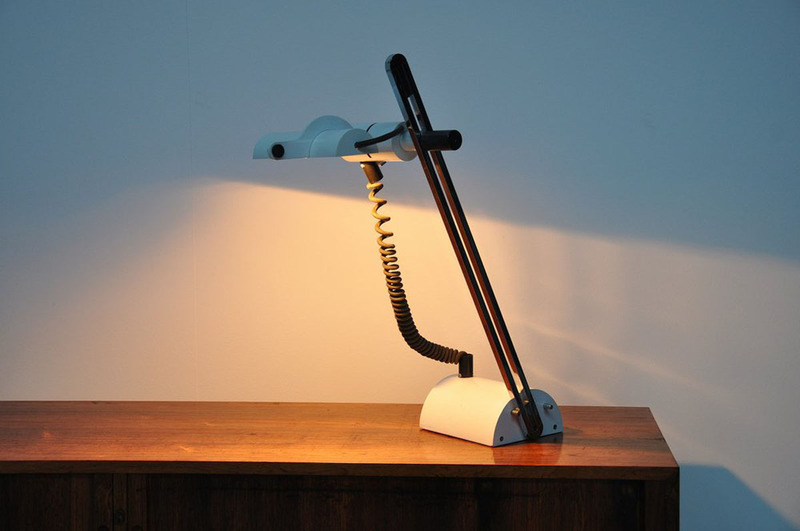 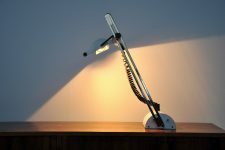 This cool white colored desk lamp is super heavy and has a nice industrial look. 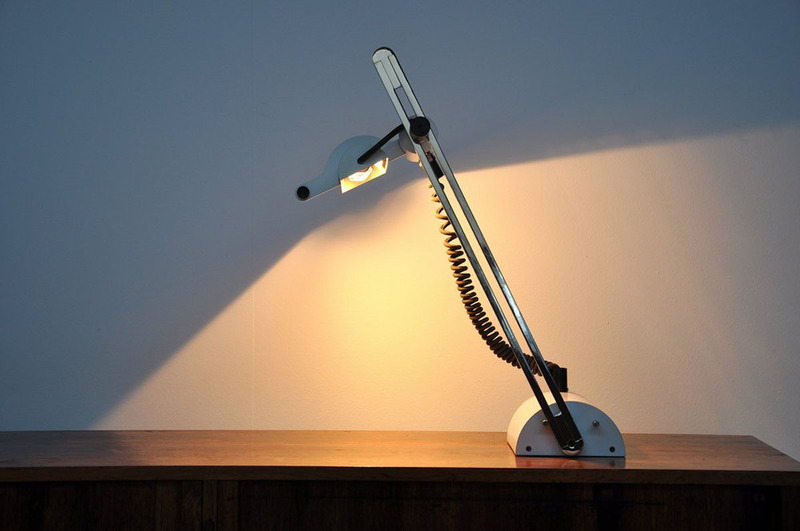 The big electrical wire is a nice detail. The lamp uses a halogen bulb and can be dimmed for less light. Very good condition.